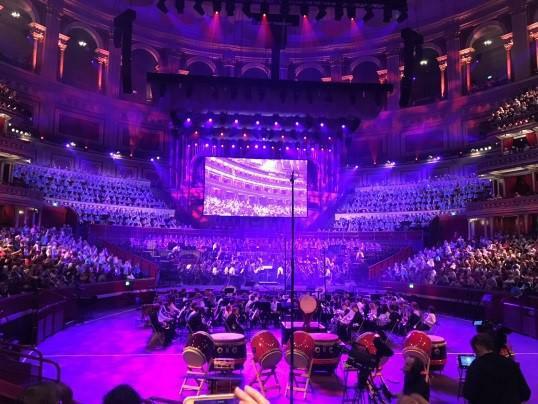 Monday was a very special day for Hampshire Music Service as they booked out the Royal Albert Hall in London for a concert that showcased the talents of many young musicians in Hampshire. A number of St Bede pupils past and present performed in choirs, orchestras and ensembles, and our own school choir formed part of a ‘massed choir’ at the event. The concert itself was incredible, the standard of music excellent and a real testament to the music service in Hampshire. Our pupils represented themselves and the school so well, making us all very proud. During some free time between rehearsals and the performance we walked through Hyde Park to have a picnic tea and a play. Standing outside Kensington Palace on the day the new royal baby was born and singing Happy Birthday to him was a sight- and sound- to behold! Thanks to all pupils and staff involved, to the parents who came along and watched the concert and those who showed great understanding when the concert overran and the return time was delayed.